Fighters from the Emerald Isle went 3-1-1 on the shows main card as Cage Warriors produced another quality show, roared on by the always vocal Dublin crowd. In the main event, Cathal Pendred showed his quality against a strangely lethargic Che Mills by bullying him around the cage for two and a bit rounds (Mills was pretty much saved by the bell in the second) and earning a TKO in the third with Pendred laying on the ground and pound and Mills’ corner throwing in the towel, only for referee Marc Goddard to be told by Mills that he’d hurt his shoulder. It was a standout performance from Pendred who has surely earned a call up for UFC Boston in August. He might not be the most entertaining fighter, but he’s damned effective and has defeated several top class opponents in a row. Mills on the other hand, slides into a losing way (officially, barring Matt Riddles drugs punishment he would be 0-2 at the moment) and such a bloodless display followed by managing to miss weight for a title fight leaves him with a lot of ground to make up. Much as I like Mills as a fighter, it seems that Dana White’s accusation of him ‘giving up’ seems less unfair than it did. I hope he comes back to form next time, I really do. The co-main event saw veteran Neil Seery come back from being bullied about by the larger and younger Mikael Silander at the start to take the second round and then claim the stoppage victory with an incisive armbar in the third. You’d have gotten pretty long odds on a Seery victory by tapout, but it’s almost the perfect way for him to win here. Always an underdog, I couldn’t be happier that at a point where he was taking his career one fight at a time, considering retirement, he’s become a world champion. Cage Warriors now have two of their four active championships in the hands of Irish fighters and with Conor McGregor blazing a trail in the UFC, it’s a stunning time for Irish MMA. Elsewhere on the card, former Middleweight champion Chris Fields forced a majority draw with Norman Paraisy after the Frenchman took the first two rounds, but took a point deduction for grabbing the fence that made his advantage only 19-18 going into the third. Paraisy seemed convinced that he had the fight won, and stayed with a successful plan of taking Fields down, only to give up a deep kimura that changed the tide of the contest. Fields was in the ascendancy and Paraisy seemed convinced he’d already won and just stood there grinning as Fields tagged him time and again. Sadly, Fields was too tired at this point to push for the stoppage but a head kick and flurry at the end secured him the third round. Two judges saw it as a draw, while one gave Fields the third 10-8 for a comeback victory, but on balance that’s a majority draw. Fields seemed upset by the result, but given that he didn’t actually come close to finishing Paraisy, and given that even a 10-8 would only have earned a draw had Paraisy not been docked a point, I don’t think he can complain. Paraisy on the other hand lost a win on his record by being cocky in the third round. Opening the main card, Lightweight Paul Redmond and Bantamweight Jean N’Doye scored impressive second round submission wins over Marc Allen and Steve McCombe respectively to extend impressive winning streaks and possible put themselves in contention for the two title tournaments coming up late in the year. A great show as usual and free to view around the world. That’s why Cage Warriors are one of my favourite promotions. I can’t wait to tune in on July 6th where I expect another cracker from them. 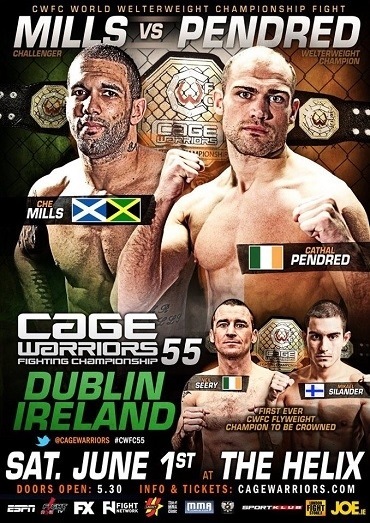 Arguably one of the biggest cards in Cage Warriors history is headlined by Irish national hero Cathal Pendred (12-2-1) making the first defence of his Welterweight title against popular Scots/Jamaican (by way of Gloucester) former UFC fighter, Che Mills (15-5, 2NC). With two undeniably world class, massively popular fighters facing off for one of the most high profile titles in the world (three of the previous four CWFC 170lb champions have gone on to sign for the UFC) this match is possibly the biggest thing in European MMA this summer. Pendred, nicknamed “the Punisher” is an extremely durable fighter, currently riding a seven fight unbeaten streak including consecutive decision victories over David Bielkheden, Bruno Carvalho and Gael Grimaud. Training out of SBG Ireland alongside the likes of Conor McGregor and Chris Fields (as well as regular visitor Gunnar Nelson), Pendred has matured into a truly intentional class talent who combines very heavy fists with a level of calmness in the cage that belies his relatively tender twenty five years. Who would bet against such a clearly on-the-rise fighter, competing in front of a doubtless partisan and vocal Dublin crowd? Mills earned a call up to the UFC with a 13-4, 1 NC record earned across the breadth of European MMA, fighting (and winning) in Russia and Spain, winning the Cage Rage Welterweight title and having an unbeaten 3-0 record in Cage Warriors and BAMMA. His debut at UFC138, showcased his in inside, aggressive striking as he kneed Chris ‘Whoo’ Cope into unconsciousness in only 40 seconds. His second UFC bout was a huge ask, as he faced wunderkind, Rory MacDonald and despite a game attempt was TKO’d by the megastar in waiting in the second round. Earning a second UFC win almost by default against Duane Ludwig when the veteran kickboxer injured his leg, Mills went into his last match against Matt Riddle knowing he needed to impress. 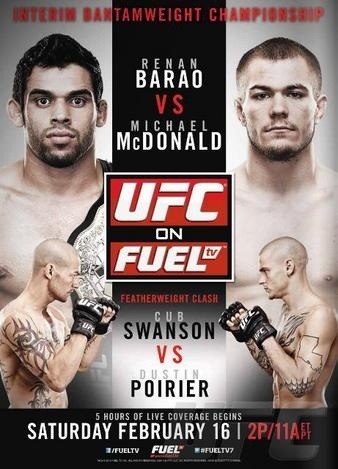 …which became a no contest when Riddle failed a drug test for marijuana. Che was (rather unfairly) cut from the UFC, with Dana White making harsh comments about his giving up. I didn’t see the fight that way at all, indeed Che did very well not to be submitted by the accomplished grappler. If he was looking for an out, it was readily there.. Despite the cut, which in fairness comes from one of the UFC’s deepest, most competitive and overpopulated divisions, Mills is a bigger star than he was before and the memory of his Muay Thai clinic against Cope burns far brighter in the memory than his getting stifled by quality wrestlers. As one of the biggest names in British MMA and on a 6-0, 1NC streak in Europe, Mills is an excellent test for rising star, Pendred. Both guys deserve their nicknames, as Mills is at his best when delivering highlight reel displays of striking, while Pendred punishes his opponents with heavy hands and sheer endurance. On balance, this fight is a toss up with Mills looking more likely to win by stoppage, while a decision favours Pendred. Of course, Pendred’s momentum, comfort in Cage Warriors and home advantage certainly makes him the favourite. Either way, this is a seminal fight in both man’s career, with Mills looking to halt his slide of losses and tainted wins and Pendred facing a genuine step up in competition (in terms of name value at least) and a drastically different fighter from his recent victories. You can watch the main card on MMAJunkie.com (North America), Joe.ie (Ireland), Sportstube.tv (Italy) and CageWarriors.tv (everywhere else, including UK & Ireland) starting at 9pm local time, preceded by Facebook prelims at 7:45 pm local time. Stay tuned for our previews of the night’s other title match for the inaugural CWFC Flyweight championship and the compelling undercard over the next few days and remember to add @TeamKumite on Twitter for live commentary on the night. 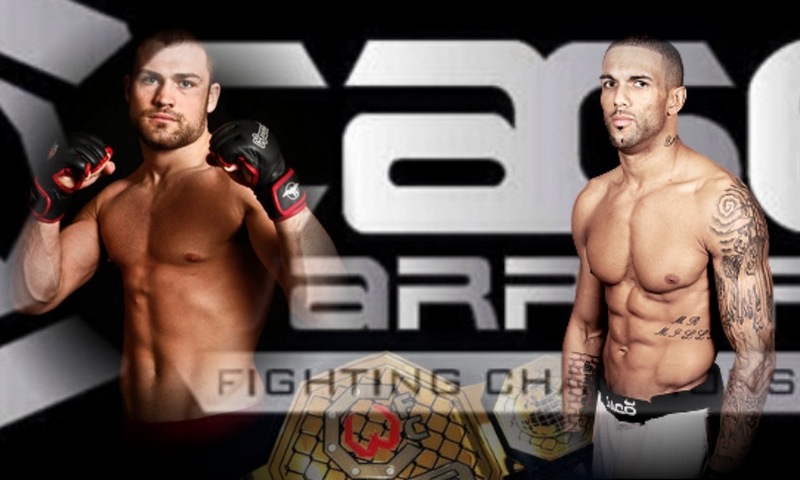 Cathal Pendred will make his first defence of the CWFC welterweight title on home turf this summer. The recently-crowned champion will put his belt on the line when he takes on Che Mills at Cage Warriors 55 on Saturday, June 1. Cage Warriors 55, which will also feature a four-man flyweight title tournament, is set to take place at The Helix in Dublin, Ireland. Pendred (12-2-1) has remained unbeaten in his six bouts under the Cage Warriors banner since making his debut for the organisation back in November 2010. The 25-year-old Irishman earned his title shot courtesy of wins over David Bielkheden and Bruno Carvalho last year, before dethroning previous CWFC welterweight champion Gael Grimaud with a unanimous decision victory earlier this month at Cage Warriors 52. Mills (15-5-0-2nc) has spent the last two years of his career with the UFC, where he clocked up a 2-1-0-1 record which included wins against Chris Cope and Duane Ludwig. At UFC on Fuel TV 7 at London’s Wembley Arena last month, the 30-year-old Gloucester native was beaten by Matt Riddle by split decision, but the result was later overturned as a ‘no contest’ after Riddle failed a drug test. Tickets for Cage Warriors 55 will go on sale soon, with more fights to be announced and we’ll keep you updated as details emerge. Wow. That is gonna be the UKMMA event of the summer! 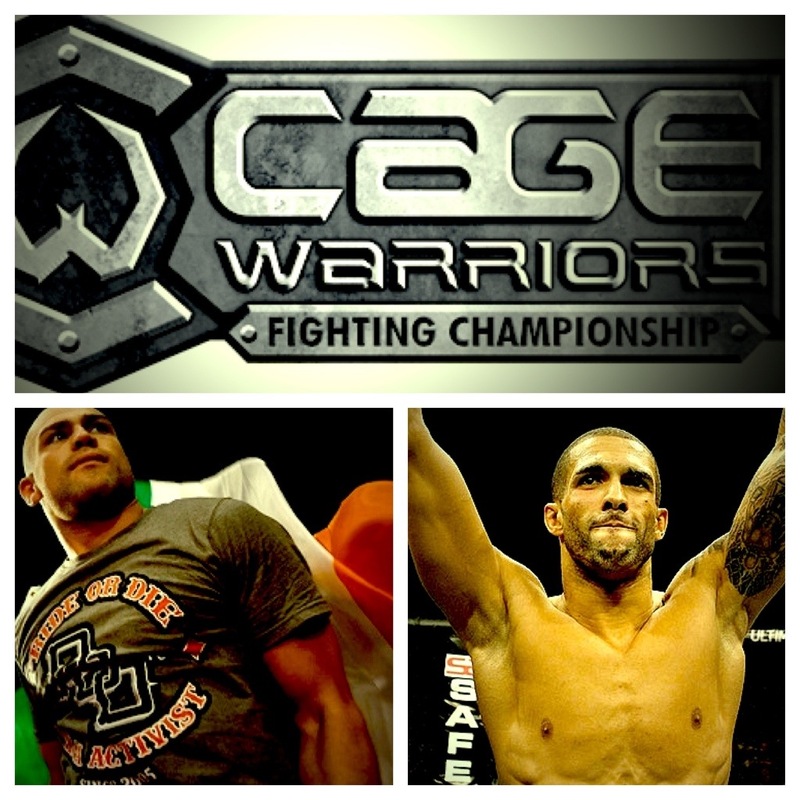 Che Mills Signs With Cage Warriors. We are delighted to announce that Cage Warriors Fighting Championship has secured the signature of top British welterweight and Kumite favourite Che Mills. The UFC veteran has put pen to paper on an exclusive five-fight contract, committing his immediate future to the organisation. Mills (15-5-0-2nc) has spent the last two years of his career with the UFC, where he clocked up a 2-1-0-1 record. The 30-year-old Gloucester native made a winning start to his UFC career in November 2011, picking up a KO of the Night bonus after taking just 40 seconds to dispose of Chris Cope. In his only official UFC defeat, Mills suffered a second-round TKO loss to fourth-ranked welterweight Rory McDonald last April but rebounded with a win over Duane Ludwig in Nottingham in September. At UFC on Fuel TV 7 at London’s Wembley Arena last month, Mills was beaten by Matt Riddle by split decision, but the result was later overturned as a ‘no contest’ after Riddle failed a drug test. “Che Mills is the best UK welterweight outside of the UFC at the moment so I’m extremely happy that he has decided to come on board,” said Cage Warriors CEO Graham Boylan. “A fighter of his calibre wouldn’t have been short of offers but the fact that Che has opted to sign for Cage Warriors is proof that the guy is determined to return to the top. I have no doubt that he’ll get there too. “I’m a big fan of Che Mills. When the UFC recently released a bunch of guys, Che was the one I really wanted to bring in. He comes from a great camp and is always exciting to watch. A contestant on season nine of The Ultimate Fighter, Mills previously fought for CWFC in October 2010, when he scored a unanimous decision win over fellow UFC veteran Jake Hecht at Cage Warriors 38. He also holds two notable wins over Bellator star Marius Zaromskis. Che Mills will make his return to Cage Warriors action in the coming months. Details of his next bout will be released shortly and we’ll let you know when we do. We have to say that we thought Che was ill served by his UFC release, but were glad he’s found himself in Europe’s #1 promotion and should be appearing on a card near us very soon. There has been a LOT of chat over the last week or so regarding the UFC’s recent cuts, especially given the stature, win/loss record and general entrainment level of those handed pink slips. The news that the UFC intends to cut 100 more fighters over the next year was like throwing petrol on a fire and the reaction of the MMA public has ranged from the hysterical trolling of ‘OMG, Dana fired Jon Fitch, he’s the devil!! !’ to the cynical position that the UFC is a sports entertainment business, and if you want to be a part of it, then you need to contribute to that business by winning or at least losing in entertaining fashion. Now, I personally don’t agree with cutting Jon Fitch, or Che Mills or a few others who were given their walking papers this week but their relative star power or usual entertainment value made me think that maybe we need to look at this from the wider business perspective. How many fighters should the UFC have? It strikes me that the simplest way to work this out is to see how many UFC bouts are available, as there is no point in having more fighters than you have the space for. 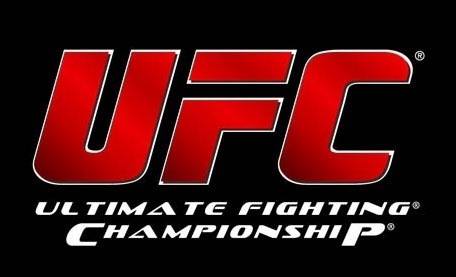 The UFC is currently running about 3 events a month, – over a year that spans to 36 events (the promotion ran 31 events in 2012) and each card usually has 11 matches. That means that in a year, there are 396 UFC matches, giving opportunities for 792 individual fighter slots. If you assume that most fighters will have, on average three UFC bouts in a calendar year (champions and big names often only fighting twice, up and comers being more prolific) that gives an ideal roster size for the UFC of 264 contracted fighters at any one time*. * of course, fighters will still be hired and cut, but with a stabilised roster this should almost be on a one-in, one-out basis. Even after the recent roster cuts, the UFC has 375 fighters under contract, and with more women and flyweights looking to be added, the cuts will need to go a bit further than 100 to balance out the roster. If we assume that all divisions should receive equal time, then the UFC should play host to 29/30 athletes in each if its nine weight divisions. At the current time, heavyweight, light heavyweight and bantamweight all sit close to this number, the female bantamweight division and male flyweight divisions are considerably emptier and need filling. On the flip side, the classes between 145lbs and 185lbs are more than a little bloated and I’d be pretty worried if I was a competitor in any of these divisions who was on a slide or had earned Dana’s ire in some fashion. It might seem harsh to advocate pink slips for so many fighters, but at the end of the day the UFC is a business and it’s selling point is the elite level of competition. If you aren’t drawing viewers or making a case for being in the top 20 of your weight class, then maybe you should be reassessing your game in a lower pressure environment? The UFC does not owe you a living, and if you lose, especially in a less than compelling manner then what do you expect? In many ways, top level MMA is the spiritual successor of the gladiatorial games in the sense that your worth to the promoter is directly proportional to the love the crowd has for you. Those who the crowd does not care for can be tossed to the lions, and they will not be remembered. Big names, or fighters who have earned the love of the crowd through a hearty performance… they get a reprieve, a chance to fight and make everybody some more money another day. Folks have washed out of the UFC before, only to earn their way back in, so a UFC cut is not a career ending setback – just look at Nick Diaz, Fabricio Werdum or Vitor Belfort – you can come back and climb the mountain again, if your form and popularity merit it. As I said, I don’t agree with cutting Fitch, but he has been falling back through the pack and he is an expensive commodity. I feel he had more to offer the UFC as a gatekeeper (because let’s be honest, if Fitch can grind you out, you aren’t going to bother GSP overmuch) but you could say that his release could be the best thing for his career. A renewed fire could lead to some brutal GnP finishes in the lesser leagues and he could come back on a wave of public support. Either way, the UFC isn’t a charity and its not as if it stands alone in sports for washing its hands of those it doesn’t need. How many young players are signed to Premiership football clubs only to be released, or start dropping down the divisions when they don’t fulfil their potential? The message is simple, win or make yourself so beloved of the crowd that we CAN’T fire you. The message from Proximo to Maximus in Gladiator could not be more apt.